Buying an engagement ring for the woman you love is one of the most significant, exciting purchases of your life, both in financial and symbolic terms. Does she wear a lot of gold or is she a silver kind of girl? Is she passionate about a certain colour or stone? Her engagement ring should complement the rest of her jewellery box, particularly if she wears rings day to day. If you’re uncertain about which metal to buy, take a look at her skin tone. There’s no hard and fast rule, but dark skin tones are best suited to yellow gold, whereas very pale skin tends to look best with white metals, such as silver, white gold or platinum. Is her day-to-day style classic? Delicate? Alternative? Does she like bold colours? Is she a romantic or super practical? Having her characteristics in mind will help you choose a ring to suit her personality and style. If your relationship is going strong, chances are she may be dropping hints. Pay close attention to comments she makes about friends’ engagement rings, or to rings she points out in shop windows or magazines. It’s not a coincidence. The daily habits in one’s life will have an impact on a ring. If your other half is a gardening fanatic or a competitive athlete – even if she simply drives or works out a lot – then you should bear this in mind when selecting a ring. It’s best to avoid delicate settings or vulnerable stones when buying a ring that may be knocked around. Look for a ring that sits low on the finger to prevent it being bashed about. ‘Rub over’ settings are a practical option as claws can get caught on clothing. 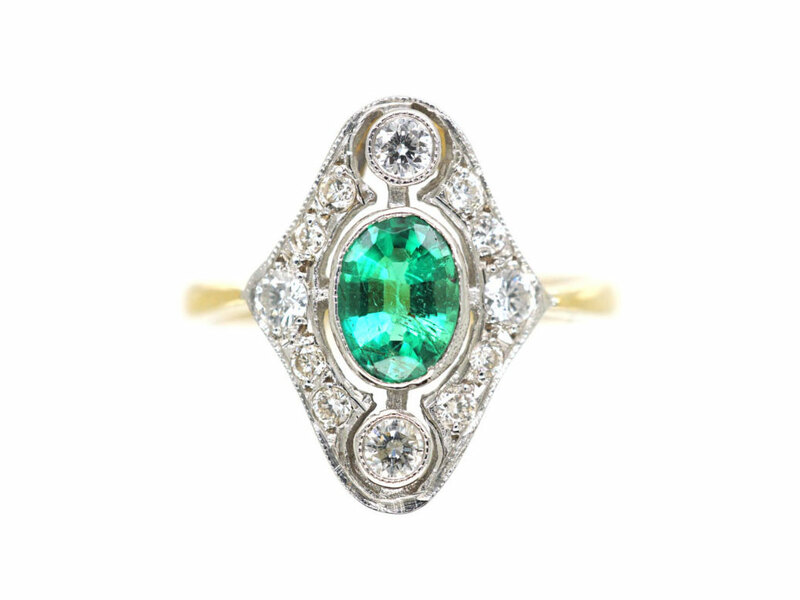 If you are buying an antique ring, the Victorian, Edwardian and Art Deco eras all produced sturdy designs that were built to last. How much this should be is the million dollar question! Tradition dictates that an engagement ring ought to cost between one and three months’ salary, but this unromantic (and, for many, unrealistic) guideline is completely against our philosophy. It’s far more important to find a ring that you will both love. 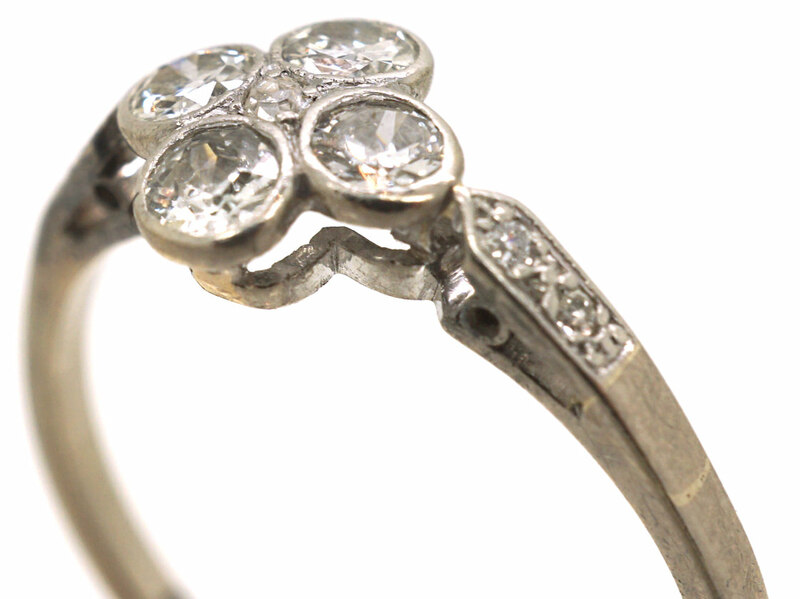 We advise our clients to have a spend limit in mind and then set about finding the perfect ring within your budget. You want to wince just slightly when making that transaction. If you can comfortably afford it, you’re not spending enough. So that the engagement ring fits comfortably and securely, you will need either to buy the ring in the correct size or have it adjusted once it’s in the possession of your wife-to-be. Before you set out, you could download our Online Measuring Tool to get an idea of her ring size using an existing ring, but it’s important to check with your dealer that the ring you buy can be resized and what their resizing policy is, if so. If you’re happy to share your big secret with her best friend or a female relation, bring her along. She will have a good idea of which styles your lady is lusting after and which will best suit her style. She will also be in a better position to do some last minute digging without raising suspicion! Knowing whether your other half prefers wearing silver or gold tones will help you decide what to go for in an engagement ring. If she’s into silver, your best bets are platinum – the strongest of all the heirloom-quality metals – or white gold. Gold comes in various other shades too. Rose gold is feminine, with a tinge of pink, where yellow gold is the most familiar shade – the tone can vary from a bright yellow (which is best worn against darker skin tones) to a more traditional hue. Gold is a great metal for jewellery as it’s tough, classic, beautiful and less expensive than platinum. Some women like to mix metals, in which case simply find a ring you love! Luminous and brilliant, diamonds have long been the traditional stone for engagement rings. Extremely strong with a timeless elegance, they are popular and long lasting. Diamonds can be up to 3.2 billion years old! The “four Cs” are the criteria used to grade diamonds. Any good dealer will be happy to talk you through these criteria in detail when you look at diamonds. CARAT represents the weight of the diamond. The most popular weight for a diamond falls between one and two carats. Ranging from ‘Flawless’ to ‘Heavily Included’, CLARITY refers to the number of visual imperfections throughout the diamond. COLOUR is graded in alphabetical order from D-Z. (D is completely colourless and considered the best grade, but it comes down to preference). True ‘coloured’ diamonds are graded separately. 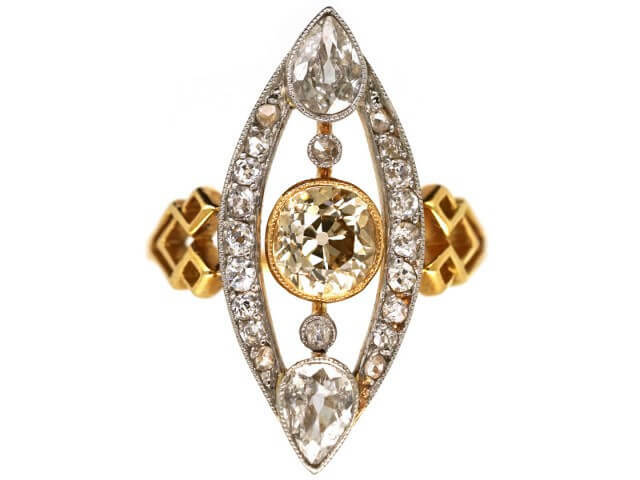 CUT refers to the shape of the diamond. 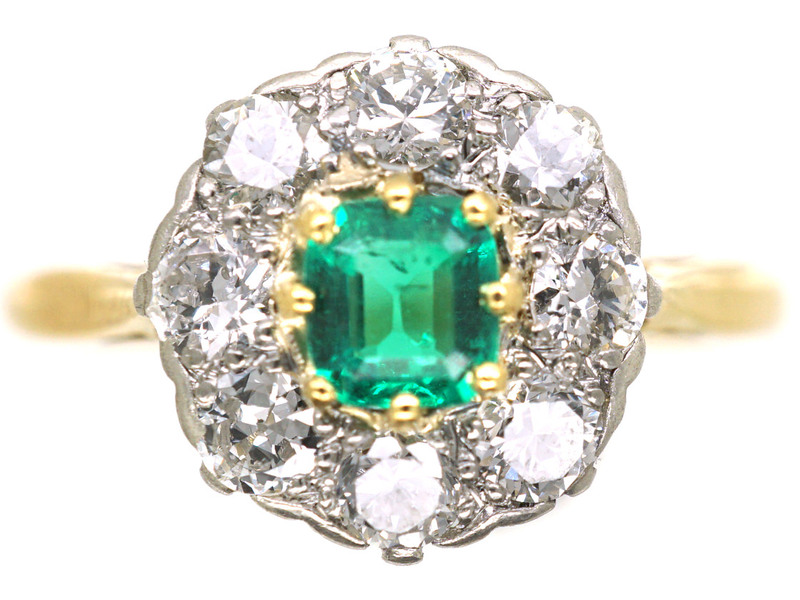 Coloured gemstones, such as emeralds, rubies and sapphires, are also popular for engagement rings and provide an eye-catching alternative to diamonds, particularly where a specific colour has resonance for you: emeralds for Ireland, sapphires to match big blue eyes, and so on. Not all stones are practical for everyday use so do interrogate your dealer about the practicalities of the stones you’re buying. 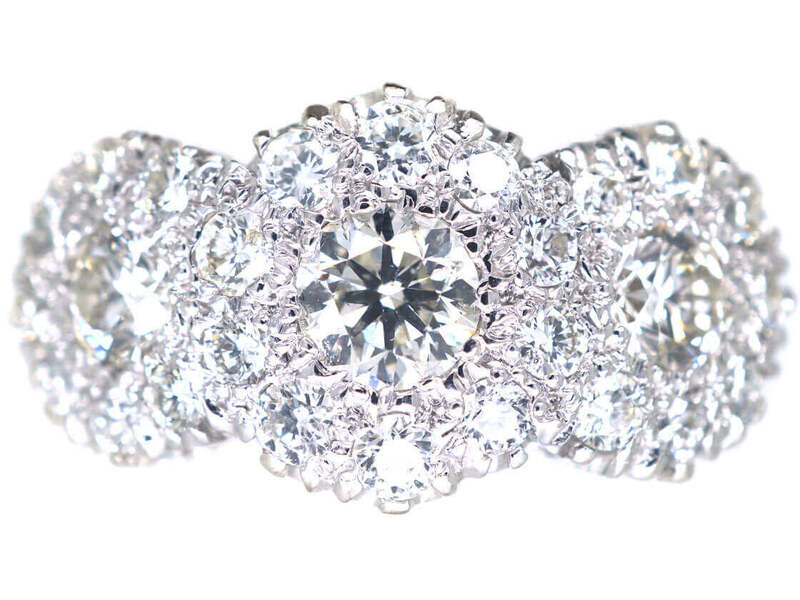 There is something special about a one-of-a-kind ring. Something as individual as the woman wearing it. If you are looking for something bespoke, you could start with a stone or a piece of jewellery that resonates with you – whether it’s from the family collection or a place you’ve visited together – then design a completely new ring from scratch. This can be a rewarding, creative experience. 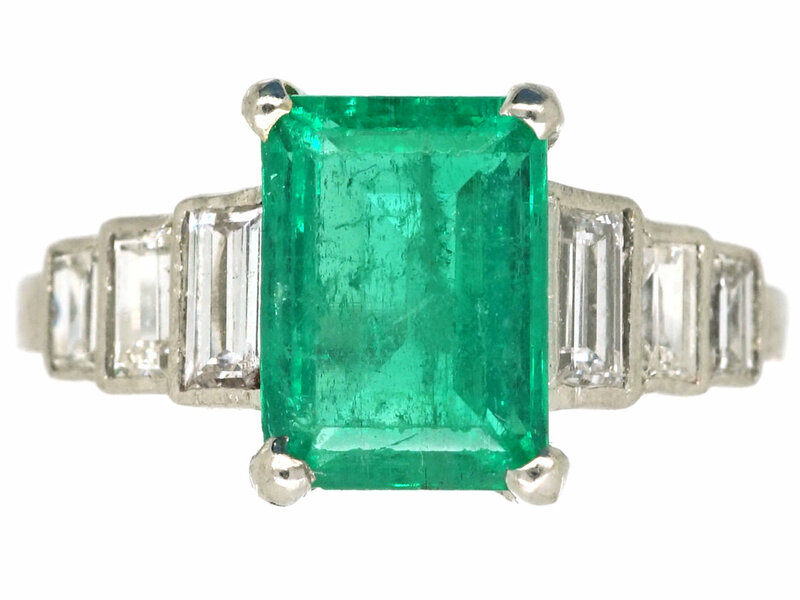 Alternatively you could buy an antique engagement ring. Because mass production was not feasible in centuries gone by, you are highly unlikely to ever find an exact match of an antique ring. 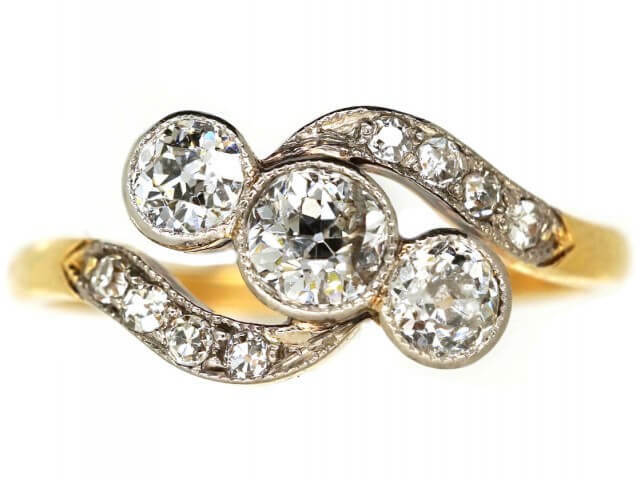 A trusted dealer with excellent experience will have a collection of fine rings in shapes and styles from across the eras. 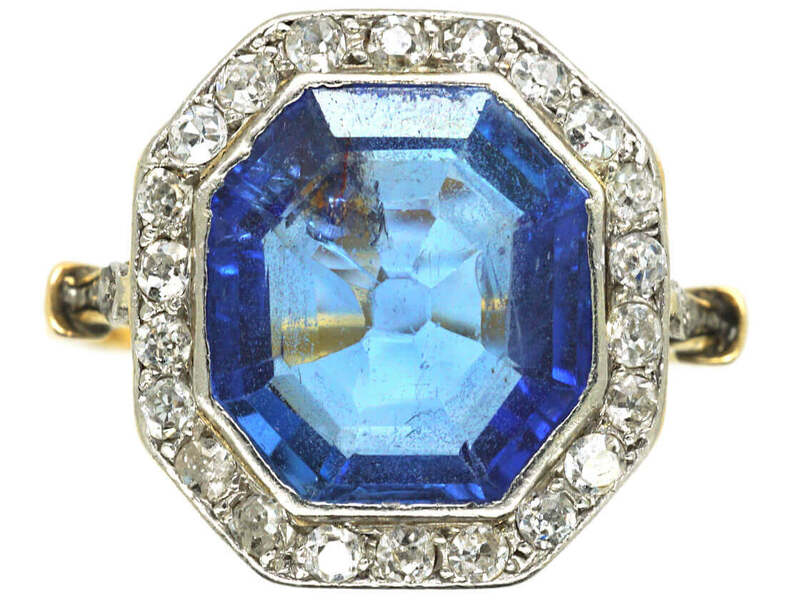 Aside from the ethical benefits of buying an antique ring, it tends to be considerably cheaper than buying new, without sacrificing quality or beauty. 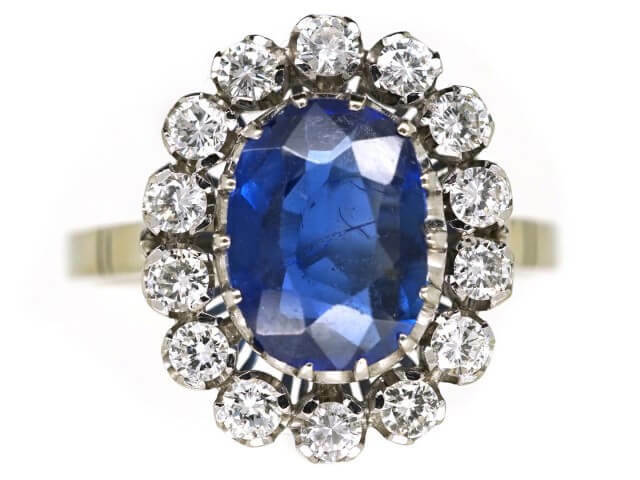 Buying an antique engagement ring offers serious beauty, style and quality without the high price point that comes with buying new. 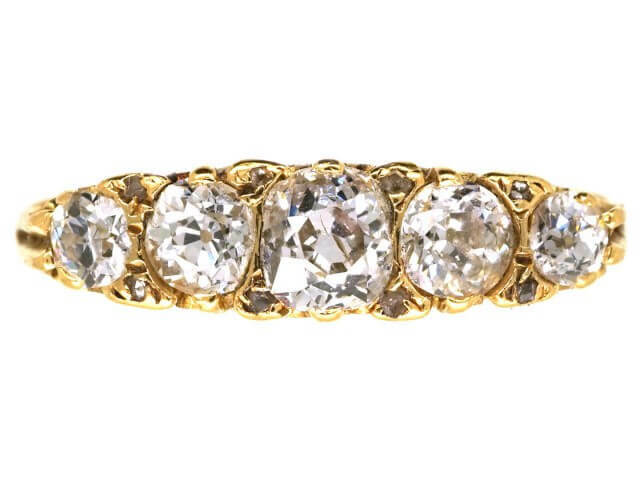 If you are buying an antique engagement ring, there’s no need to feel overwhelmed by the different eras and styles. It’s nice to know the context of the ring, but our suggestion is simply to go with your gut and look for something you know she will love. If you or your partner is interested in particular moments in time or design movements, then of course this may influence your choice. Certain eras, such as Art Deco, with its geometric shapes, are easy to recognise and popular. You can read about each era here and search for rings by period in time. When it comes to buying an engagement ring, trust and credibility are essential. Look for a dealer with excellent, authentic reviews. 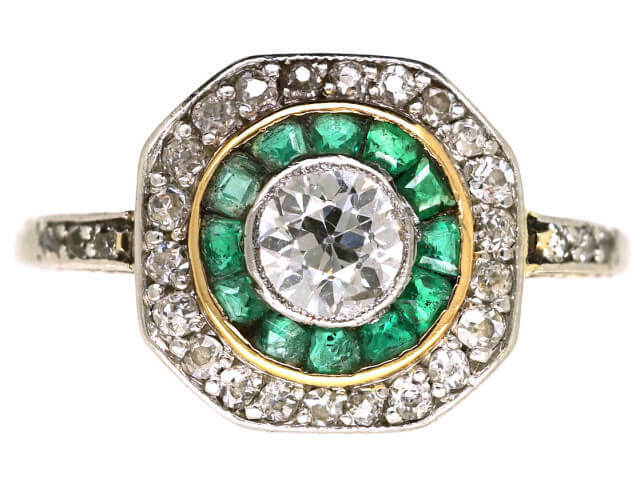 Antique engagement rings are no exception. 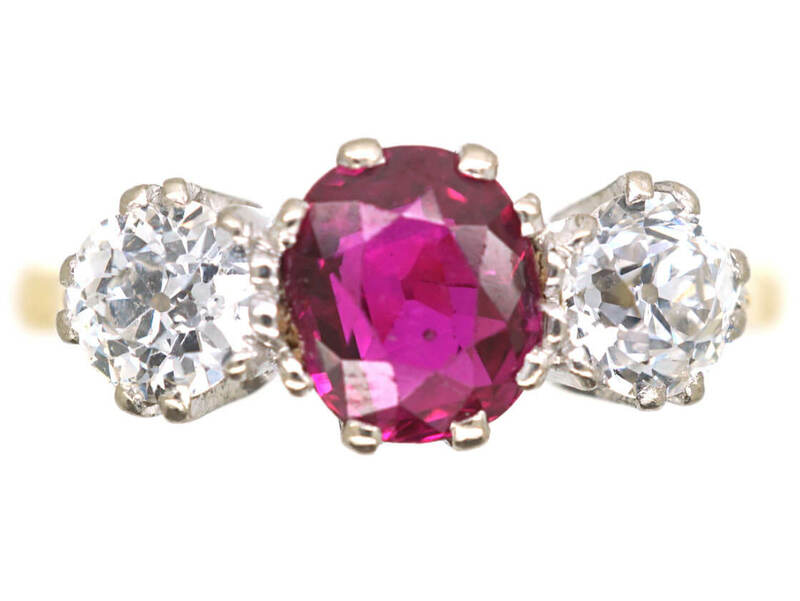 Find an established antique jewellery dealer with excellent experience. 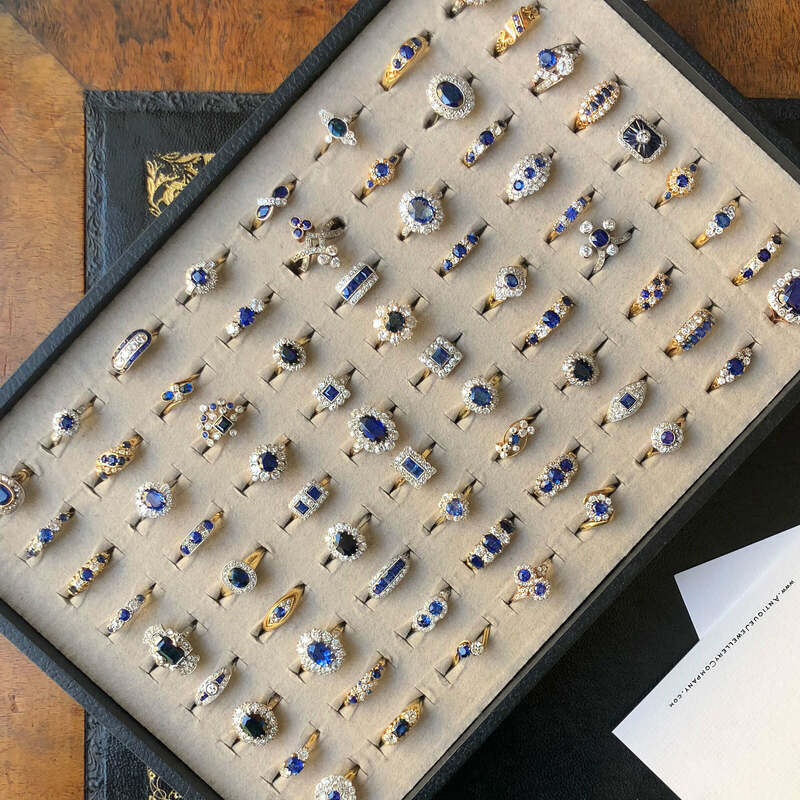 They will be able to assess the worth of an antique ring by looking at its materials, construction techniques, hallmarks, signatures and cultural context. A good dealer will always be happy to meet in person and talk you through the quality, history and practicalities of a ring. Olly Gerrish, founder of the AJC, who has been dealing since the 1970s! Where possible, we always recommend seeing and holding a ring in your hands before you buy to get a feel for the scale, proportions and sparkle. 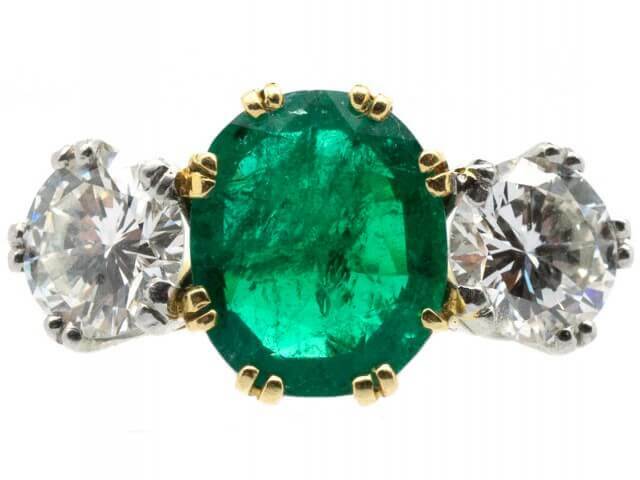 Certain gemstones, such as emeralds, appear even more vivid to the naked eye. If you buy online, check the dealer’s Returns Policy. A few dealers offer their customers up to 30 day, ‘no-quibble’ returns. They may have showrooms or retail stores which you can visit to see the collection close up. If you are not 100% confident about buying a ring or your other half has strong views about jewellery, make sure you can return it and get your money back. It’s important to protect yourself against your engagement ring being lost, damaged or stolen. We recommend contacting your existing household insurers – many will already insure for up to £3,000 worth of jewellery worn at any one time, anywhere in the world. Ask them exactly what they would need in order to insure against the ring and how they assess the value of replacing an antique ring. 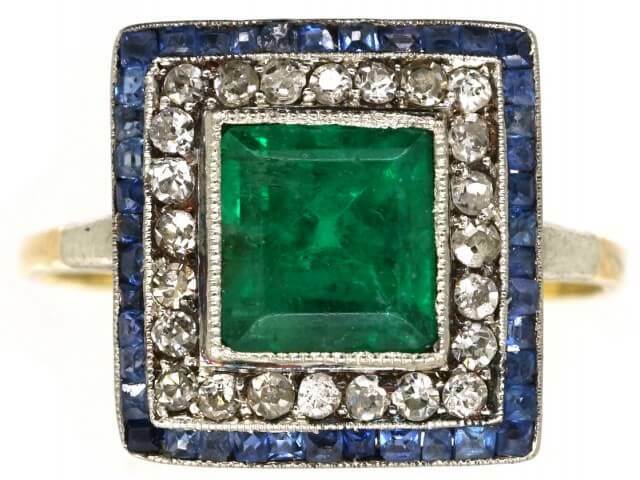 We advise that the best solution for protecting antique jewellery is to cover the cost of finding an ‘equivalent’ ring rather than providing a modern replica, which lacks the original appeal of an antique ring. 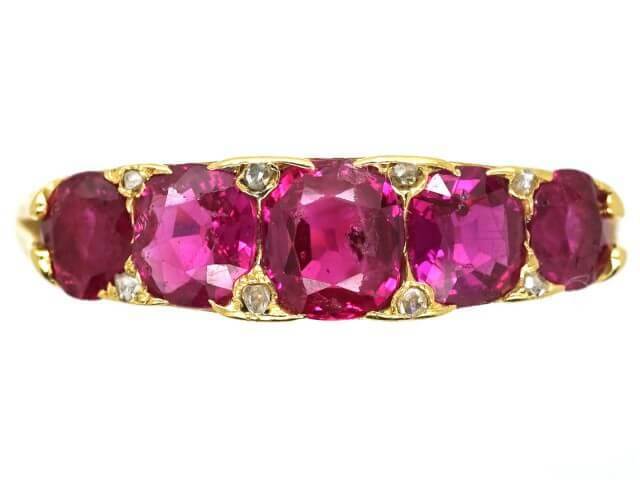 We provide all our clients with a proof of purchase so that your insurers know what you spent on your ring. It’s a good idea to check about the ethics of the ring you are buying. Diamonds in particular have been surrounded by controversy since the 1980s, when African ‘blood diamonds’ (also known as ‘conflict diamonds’) were generated by war. 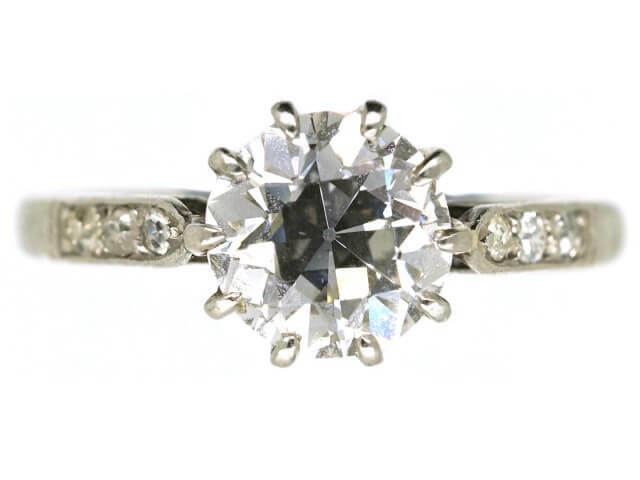 One of the many upsides of buying an antique engagement ring is that you can be confident that it’s conflict free and you are not contributing to any unethical procedures. See yourself as a conservator rather than consumer! 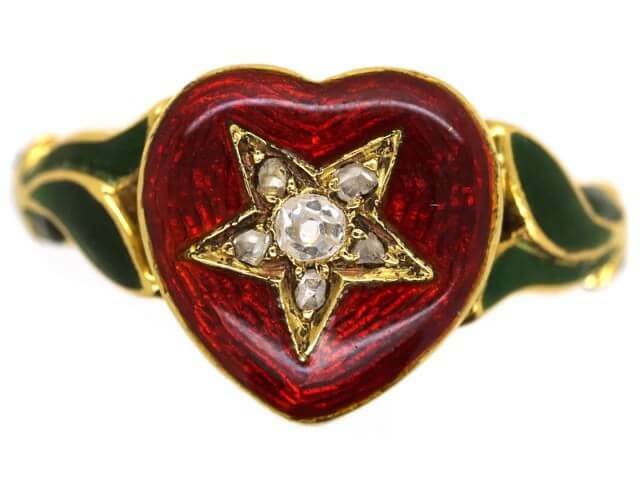 It’s easy to get caught up in budgets, technicalities behind the stones or fads and fashions, but at the end of the day remember that the most important thing is that the woman of your dreams falls in love with this ring. She’s the one who will be wearing this ring with pride, for the rest of her life. Just choose a ring that resonates with you, feels right for your lady and that is timeless and easy to love, day after day. 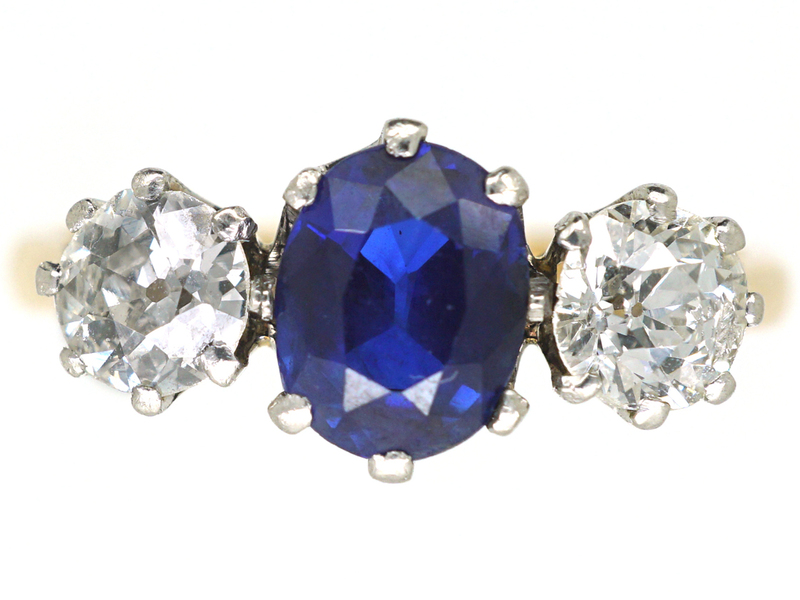 The Antique Jewellery Company is proud to be one of the world’s leading online destinations for antique jewellery. 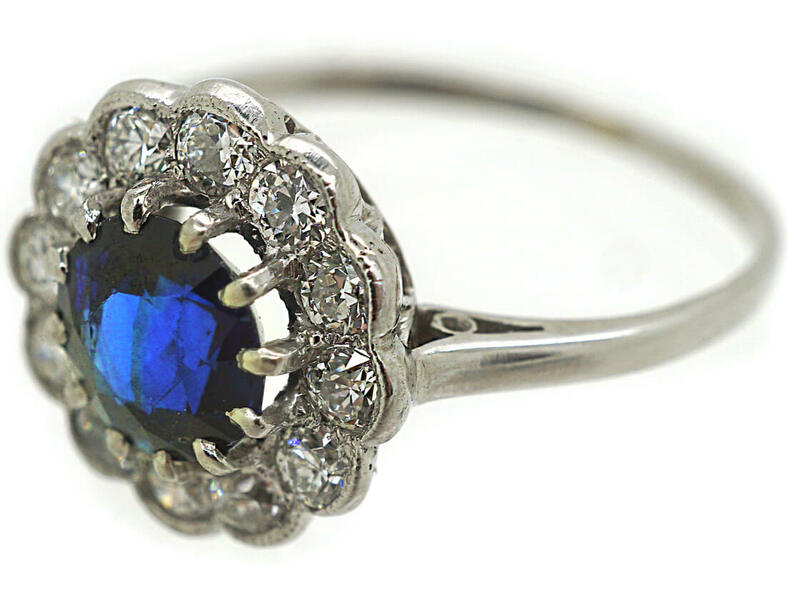 Our collection of antique engagement rings spans from 1714 to pre-loved rings from recent years. 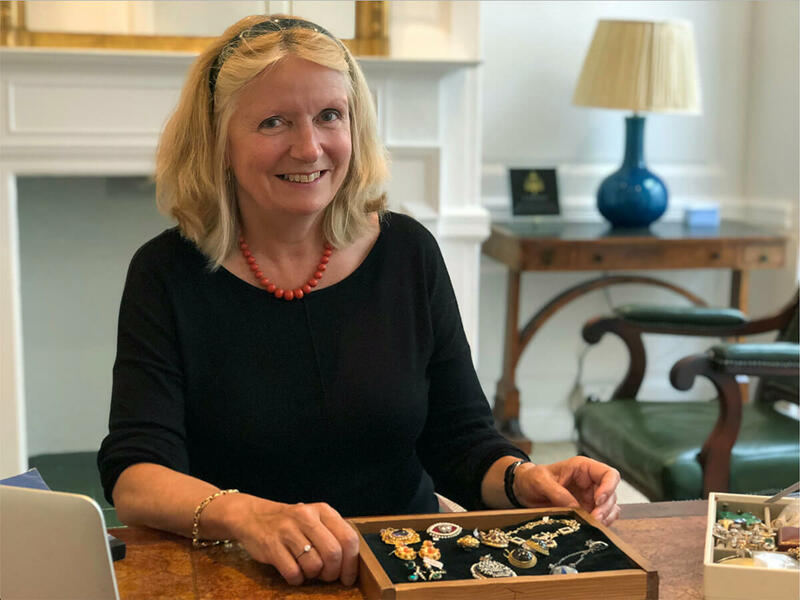 Our founder, Olly Gerrish, has over 40 years of experience with antique jewellery and is an expert in her field. She puts her respected name behind every piece of jewellery we sell. 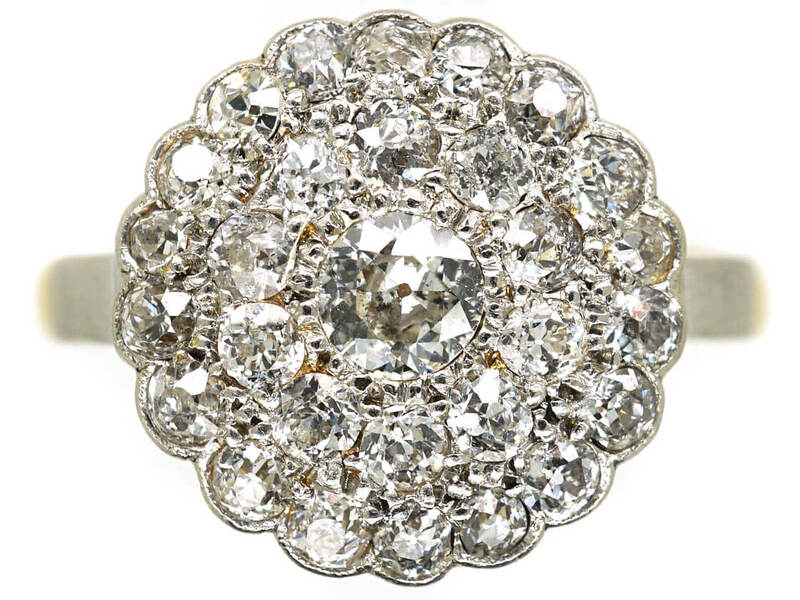 Antique rings have a subtle, sparkling allure, a story to tell. Plucked from moments in time, their next chapter is yours. We hope you enjoy exploring our ever-changing collection and look forward to meeting you at our London showroom, should you wish to come and see them for yourself. 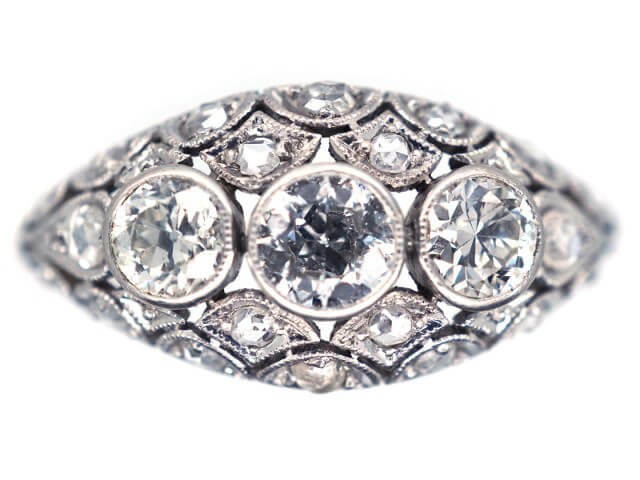 We never rush our clients or pressure them into buying and welcome any questions you have about the condition, size of stones, age or even just finding the right style for your wife-to-be. We also offer Free Worldwide Returns, so you can order from our website safe in the knowledge that you can return the item if it isn’t perfect.